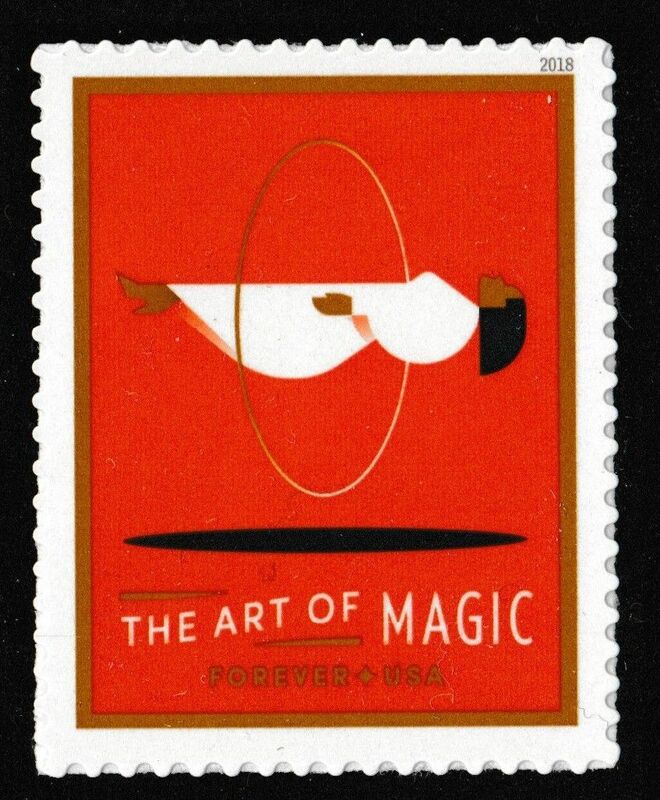 USPS issued a set of five stamps titled Art of Magic this year. Each one has a theme, today's being levitation. I really enjoy the clean graphic design of these stamps. For more lovely L-themed posts, explore the links at Sunday Stampshttps://seeitonapostcard.blogspot.com. Me too, I love the design, and the colours. Thanks again! At first sight, I also thought they were hand-drawing. Then, as you... I thought I could do that for next Halloween! Now I just have to remember the idea! Clever the way they have her hair and dress hanging down. Super set and a striking levitation stamp, I can imagine those ghosts zooming through the ring. Yes, they certainly look active. What Joy says. Great choice to have the ghosts float in the air in the same direction as the magic lady!